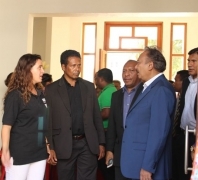 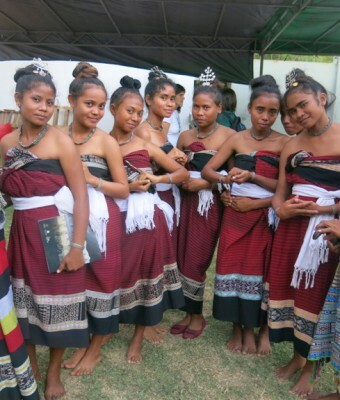 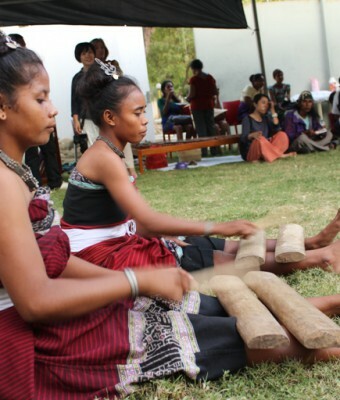 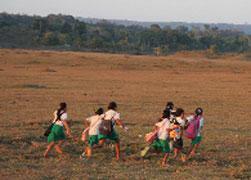 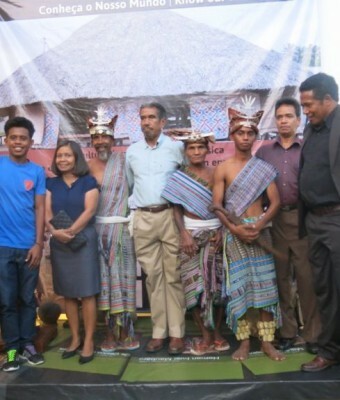 Timor Aid regularly coordinate exhibitions which showcase aspects of the rich cultural heritage of Timor-Leste. 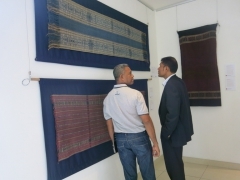 These exhibitions have been held across Timor-Leste as well as Jakarta, Indonesia and Melbourne, Australia. 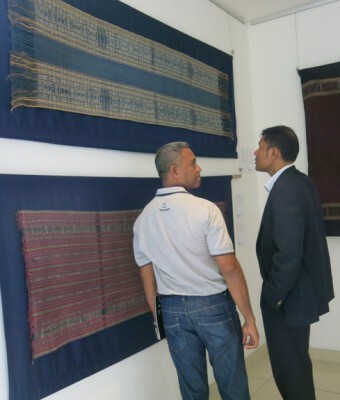 The exhibitions aim to promote the Timorese textile tradition to a wider audiences both nationally and internationally and to educate young people in Timor-Leste about the textile traditions of Timor-Leste. 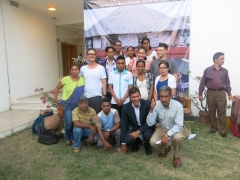 The exhibitions have also provided training and capacity building opportunities for Timor Aid staff and its partners in curation, conservation, research and writing skills under the guidance of experts. 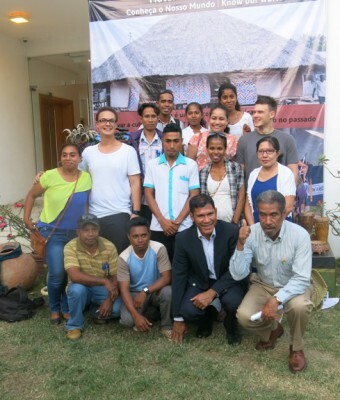 Timor Aid has been fortunate to work closely with Joana Barrkman, who guest curated several exhibitions. 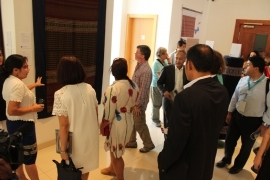 In learning the preparation of our materials for exhibition, in keeping with good conservation practice, we have been fortunate enough to work with Kristin Philips, and Anthony Van Papenrecht from Museum and Art Gallery Northern Territory has provided training to for our display technicians. 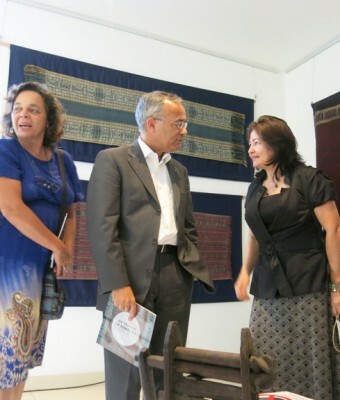 The pieces in these exhibitions have been assembled from the Timor Aid Collection, and from sources such as the collection of Fundasaun Alola, the National Collection of Timor-Leste, the collection of the First Lady of RDTL and private collections. 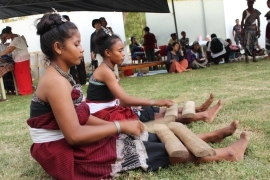 The information presented are the result of 10 years of Timor Aid research to help preserve and promote Timor-Leste’s rich cultural traditions. 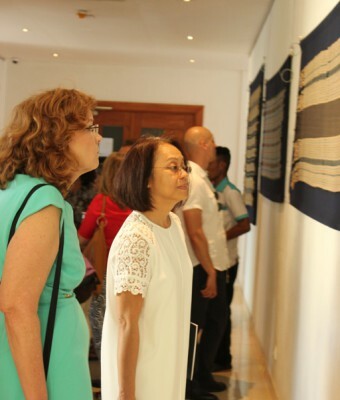 All these exhibitions were made possible through the support of partners and the generosity of the donors through all these years. 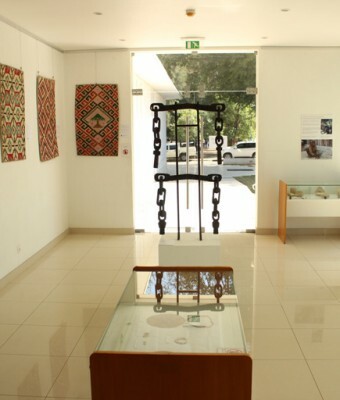 The Sculptures of Atauro Island, is an exhibition showcasing the cultural heritage of the atauro people. 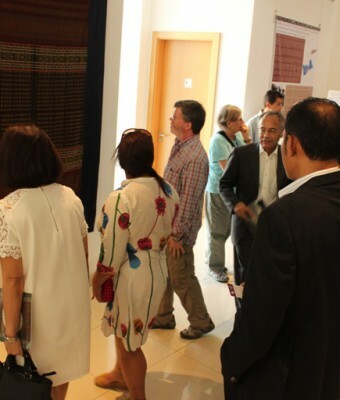 This exhibition curated by Joanna Barkmann and organized by Charles Darwin University Art gallery in partnership with the secretariat State of Tourism Art & Culture and Timor Aid. 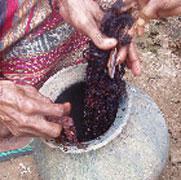 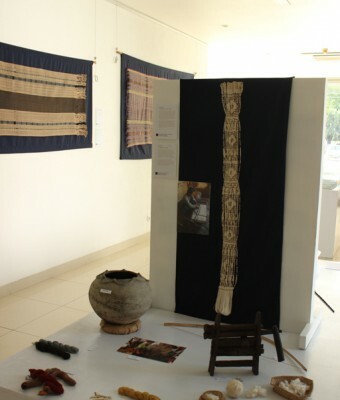 The objectives of this exhibition are to promote and develop Atauro carving which is our heritage from our ancestors. 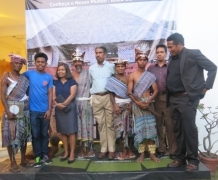 This exhibition explores the rich culture of the people of Suai-Camenaça, of Covalima District in Timor-Leste. 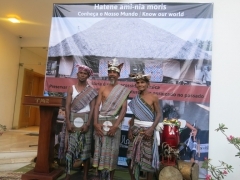 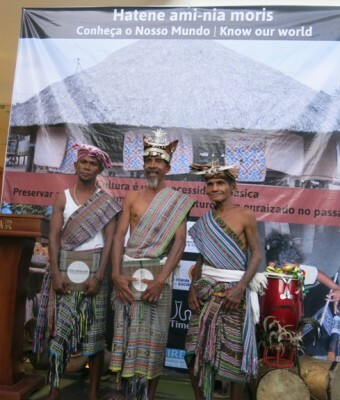 Hatene ami-nia moris | Know Our World: Documenting the Cultural Heritage of Suai-Camenaça forms part of the research work being conducted by Timor Aid in partnersip with Institute of Research for Development (IRD) . 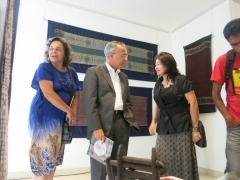 Embrace our Culture, Tais /Tenun exhibition, is an exhibition of the unique textiles from various places in Timor-Leste and East Nusa Tenggara, Indonesia. 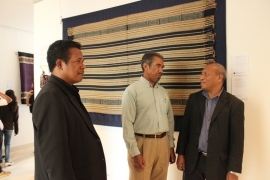 Curated by Timor Aid and mounted at Indonesia Cultural Centre in Dili. 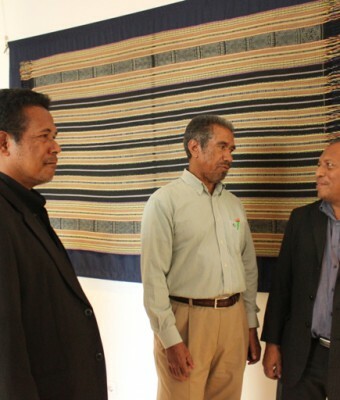 It is a partnership between Timor Aid and the Indonesian Embassy. 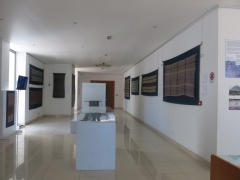 An exhibition of textiles and photographs showing the richness of the cultural heritage of the people of the Suai-Camenaca area of Covalima district, and the work of Timor Aid in researching and recording that work. 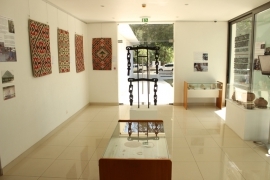 An exhibition of the textiles and traditions of the Suai-Camenaca area of Covalima district. 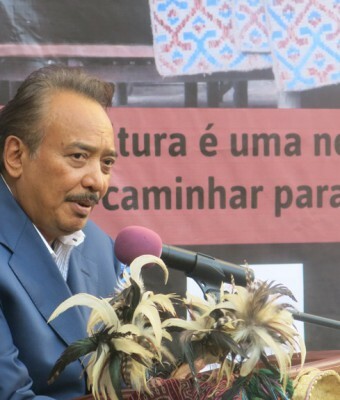 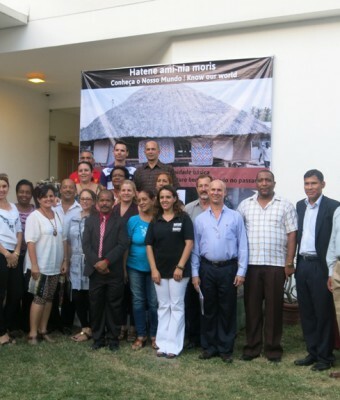 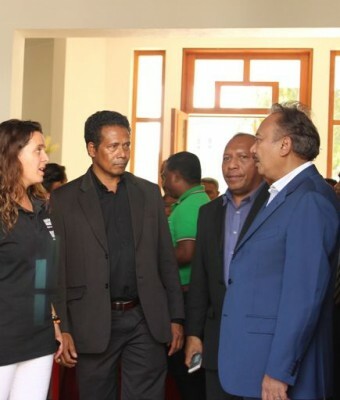 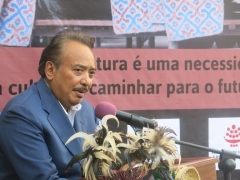 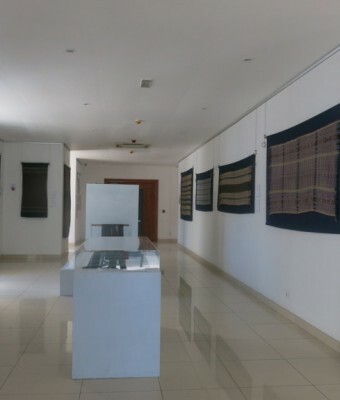 An exhibition of the National Collection, curated by Secretariat of State and Timor Aid, mounted at the Museum & Archives of the Resistance to correspond to the summit of the Comunidade dos Paises de Lingua Portuguesa in Dili in July 2014. 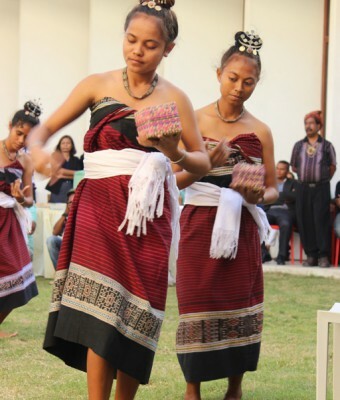 An exhibition of the craft of basketry as practiced in the coastal town of Maubara, held at the Xanana Reading Room to coincide with the launch of the Timor Aid publication The Baskets of Maubara by Joanna Barrkman & Jaquelina Ximenes in November 2014. 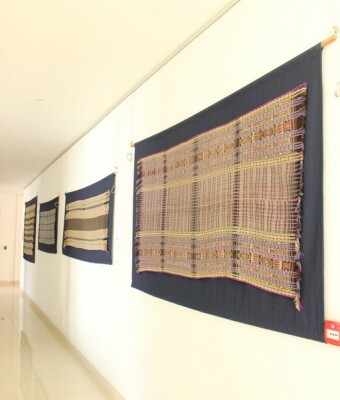 A selection of textiles from the Timor Aid collection showcasing the variety of tais made in Oecusse district which was held at the Timor Aid office in 2014. 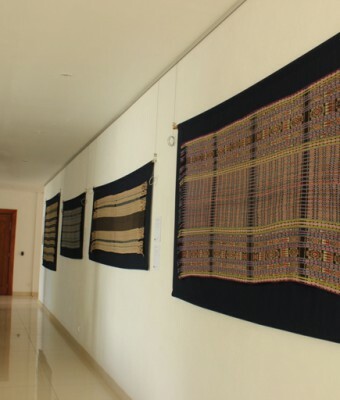 An exhibition exploring the textile traditions of the Kemak people of Marobo in the district of Bobonaro, and the work of the anthropologist Brigitte Clamagirand who worked in the village of Marobo in 1969. 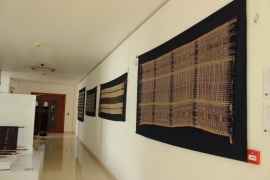 In 2013, through the project funded by European Commission, In search of common ground: Textile Cultural tradition in the island of Timor, Timor Aid entered into a partnership with the Museum Tesktil of Jakarta, Indonesia to organise a joint exhibition about textiles of the border. 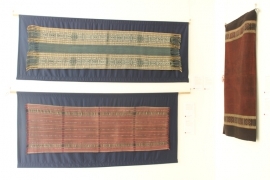 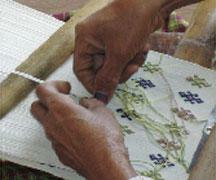 A survey of textiles from the Island of Timor, curated by Roy Hamilton and Joanna Barrkman. 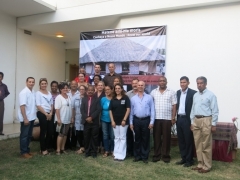 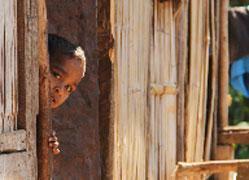 This exhibition was years in the making, and Timor Aid is proud to have contributed to it. 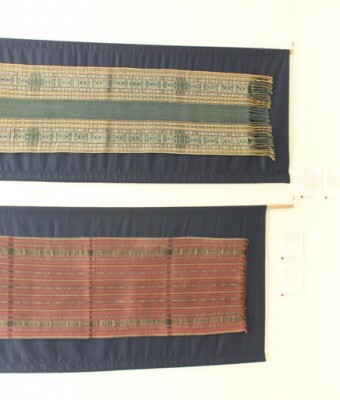 A survey of the tais of Covalima, drawn from the collections of Timor Aid and private collections, including the remarkable collection of Joao Mali. 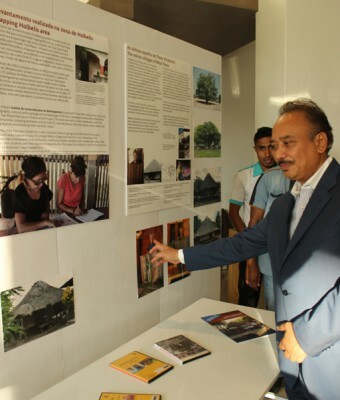 This exhibition was attended by school children from many schools around Dili.